If you file your tax return early in the season, you’re less likely to become a victim of tax identity theft. Here’s why: Criminals tend to file fraudulent returns early, so they can get to the IRS before you. Millions of Americans overpay their income tax each year because they choose the standard deduction. Itemized deductions take more time and effort, but can pay off in the long run with less tax liability or a bigger refund. The maximum amount of income that a taxpayer can earn and still get the earned income credit has increased and may contribute to a bigger refund this year. Check with your local tax professional for details. Congratulations on your newest tax deduction! Parents who welcomed a new baby can deduct certain medical expenses. These include hospital services to deliver your baby, breast pumps, nursing bras, and more. New parents may also be eligible for the earned income credit, child tax credit, and dependant care credits. If you serve in a combat zone, you can choose whether to claim combat pay. This decision can increase or decrease the amount of the earned income credit received. For those in the military, combat pay, the basic allowance for housing, and the basic allowance for subsistence are considered non-taxable income. You can deduct interest on qualified student loans, even if you don’t itemize. Generally, you can deduct up to $2,500 in interest paid. Your deduction limit decreases and phases out based on your income. If you expect to pay $1,900 or more to someone providing household services (nanny, babysitter, housekeeper, yard worker, cook, driver, etc. ), then the IRS will classify them as a household employee and require you to not only withhold Medicare and Social Security taxes (1.45% and 6.2% respectively) for your household employee, but also pay your portion (which is 7.65%) as the employer. This can be a tough pill to swallow if you have not prepared for this expense. 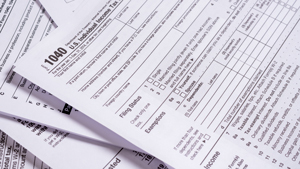 Consider working with a professional on a plan to reduce the burden for 2016 tax filings. If you looked for a job in your current profession, you can deduct certain job search expenses. Maybe you paid for LinkedIn Premium to look for work, or you had job search travel expenses? Those are deductible. To find out which other expenses qualify, contact your local tax professional. You can usually depreciate the amount you spend on tools used for your job. Some of the other expenses you may deduct include union dues, job-related magazines and books, and clothes or uniforms that are not everyday wear. The money you make as an Uber driver is subject to self-employment taxes, but you can deduct some of your out-of-pocket expenses. In addition to your mileage or actual expenses, you can deduct other expenses, like the portion of your mobile phone bill used for business and passenger supplies, such as mints and water. 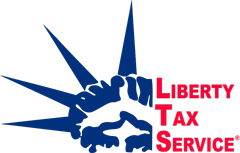 Josh Curtis, a husband, father of two, and self-proclaimed dinosaur, train, and car guru (thanks to his toddler), is also the owner of Liberty Tax Service in the West End. He has worked in finance for eight years and his tax team has decades of experience in the tax industry.